To start the summer season, AloeVera.com provides people with some creative DIY projects that can be made with aloe vera. This is the perfect opportunity for new visitors to see our articles and learn how they can use aloe vera. The summer is perfect for growing aloe vera at home. The plant grows best in dry soil, similar to a cactus and can be used to treat some of the health issues that go along with summer as well. The team at AloeVera.com wanted to take advantage of the summer season by announcing some great DIY projects people can do at home to help them during the summer. AloeVera.com has firmly planted its roots in the aloe community as the number one provider of informational articles on the tropical plant used in most health and beauty products currently on the market today. The company has also provided people with some helpful summertime tips and DIY projects to help them beat the summer heat. Moisturizer for Dry Skin- Summer often causes skin irritation from drying out the skin. 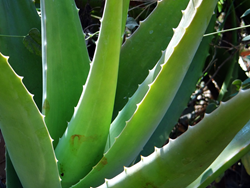 One good way to moisturize is for people to make their own aloe moisturizer. By taking a pinch of turmeric and a single tablespoon of milk, adding 4 tablespoons of aloe vera gel, and a few drops of honey, people can make their own moisturizer for the summer. Removing Tan Line and Sunburns- Many people don’t like the farmer’s tan look or getting sunburns. A good way to treat both is by combining 2 tablespoons of lemon juice, 4 tablespoons of aloe gel, and 6 tablespoons of cucumber juice, people can make a nice treatment for these skin problems in about 20 minutes. Acne- With the heat comes sweating and with that comes unwarranted acne, using a combination of a teaspoon of olive oil, 4 tablespoons of aloe juice, and applying that to the face can significantly reduce blemishes and clean the skin. Danson and his team have also provided people with a way to make their own aloe juice, the main ingredient of these DIY projects. The staff at AloeVera.com wishes everyone a happy summer and hope that more people will take advantage of their free information and other DIY projects as well.